Hey Mama! 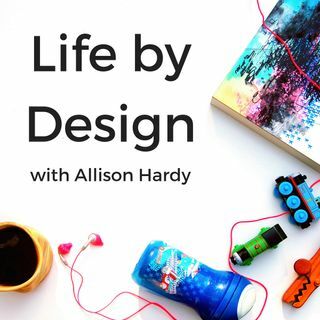 Welcome to episode #98 of the Life by Design Podcast with Allison Hardy! Today I get the pleasure of sharing with you the story of Elevated Lifestyle Influencer, Jessie Harris Bouton. Jessie helps her clients live a more happy, healthy, wealthy and whole life. Jessie helps women use the power of mindset and intentional living to elevate life, health, relationships and career to one more in tune with their dreams. She is a wife, a mom of 4, a blogger, an author, a speaker, and a ... See More former professional 300 mph race car driver. + Messy action trumps inaction. It’s never going to be perfect! + Focus on the “who do I need to be if I want to accomplish a goal” instead of “how is this going to happen”. + Having it all is never going to actually happen. Moving forward every single day is what is going to help you to feel like you have it all. It’s a continual process of creating a life that lights you up. + There are no finish lines, you always need to be preparing and bettering for next time. + Being a mompreneur is a privilege!